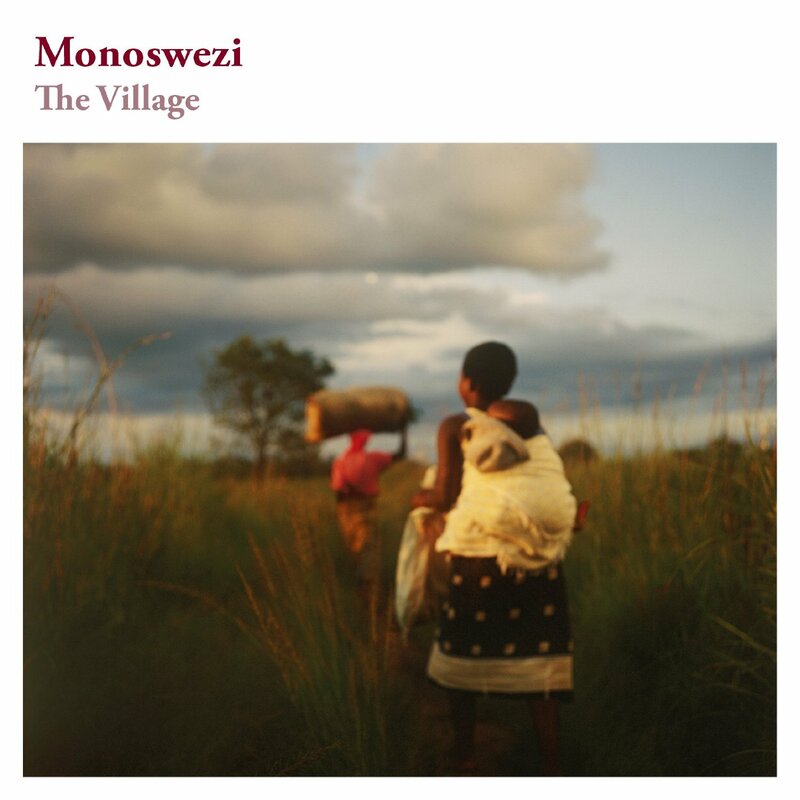 Does the prospect of “a collection of rearranged Zimbabwean traditional songs blended with a cool Nordic edge” sound less than promising to you? Well, don’t be scared: this is one of the most beautiful albums you’re likely to hear this year. This Afro-Norwegian ensemble is led by the golden-voiced Hope Masike, who also plays mbira, and it includes saxophone, double bass, and various kinds of percussion. The grooves are supple and gentle, the melodies soaring and glorious. 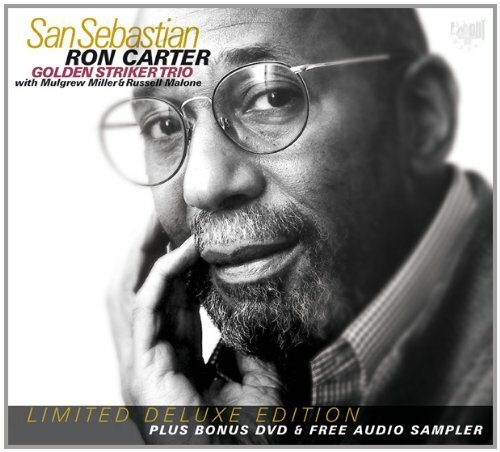 A must-have for all world music collections. This disc gets a Rick’s Pick for the first work on the program, the cycle of twelve brief pieces from which this excellent young ensemble took its name. 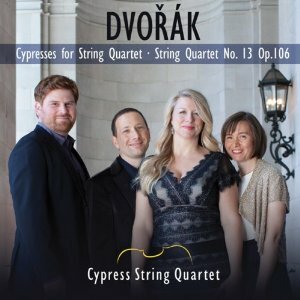 Cypresses is an expression of romantic longing, whereas the String Quartet no. 13 is Dvorák’s expression of joy at returning home to his native Czechoslovakia after several years in the U.S. 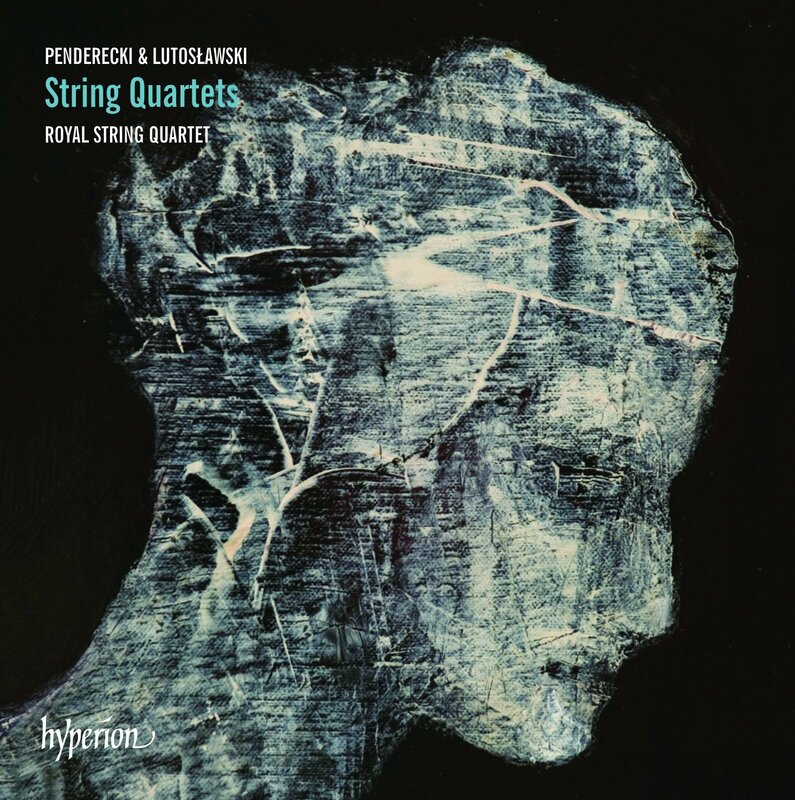 The quartet’s playing is exemplary throughout, but Cypresses is a piece to which I find myself returning over and over again, and the interpretation here is especially impressive. 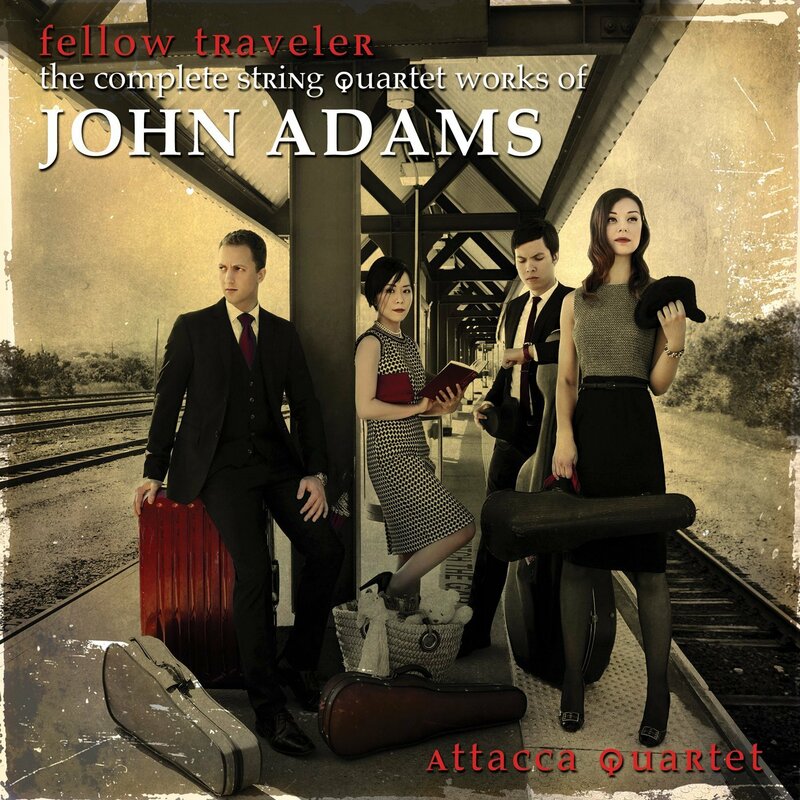 Although most famous for his operas, John Adams has written some marvelous chamber music as well, three examples of which are performed here with admirable energy and flair by the Attacca Quartet. In addition to his spiky and demanding String Quartet of 2008, the group also perform the more whimsical John’s Book of Alleged Dances and, more importantly, a world premier of Fellow Traveler, a brief piece written in tribute to Adams’ collaborator Peter Sellars—a work which has not only never before been recorded, but which is as yet unpublished. Recommended. 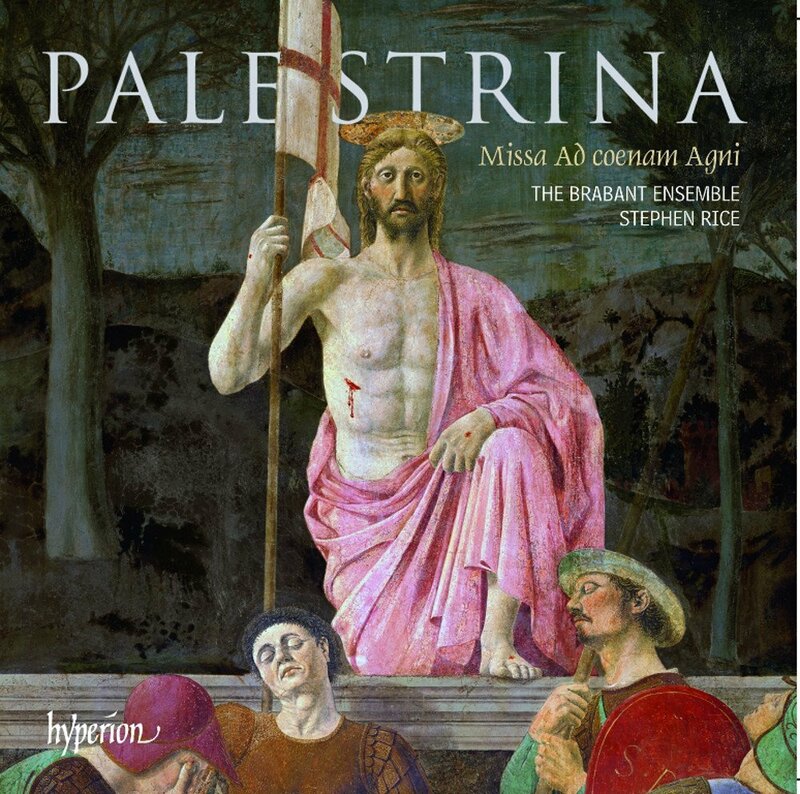 Even a giant like Palestrina is going to have some unexplored corners in his output, and that’s where Stephen Rice and his brilliant Brabant Ensemble found this gem of a program: both the marvelous Missa Ad coenam Agni and a selection of antiphons, motets, and Easter offertories. With this album, I am now prepared to say that no one—not the Westminster Cathedral Choir, and not even the mighty Tallis Scholars—are performing Palestrina with more heart-stopping loveliness than the Brabants are. 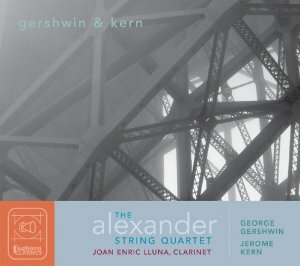 Very highly recommended to all classical collections. 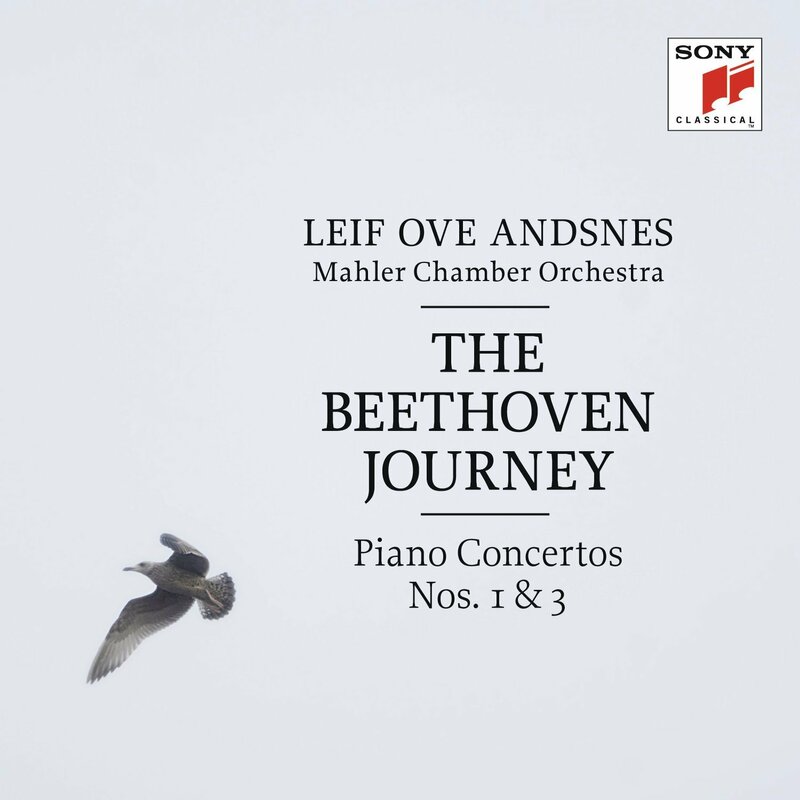 Right now, I’m not sure there is anyone playing Beethoven better than the brilliant Norwegian pianist Leif Ove Andsnes, and he has recently undertaken what he is calling the “Beethoven Journey”: a plan to play mostly Beethoven during the next four performance seasons and to record the five piano concertos with the Mahler Chamber Orchestra (Andsnes himself conducting from the keyboard). This disc is the first installment in that series of recordings, which is ascheduled to be completed in fall of 2014, and it’s a very auspicious start. Andsnes has a delicacy of touch that nevertheless fully communicates the fire and passion of Beethoven’s compositional voice, and the orchestra supports him beautifully. This series is already shaping up to be a must-own. 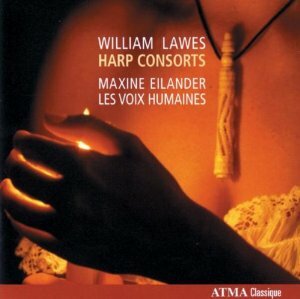 The combination of harp and viola da gamba is an unusually winning one, and this recording of consort pieces by the great 17th-century English composer William Lawes is very attractive indeed. Interestingly, the consort sets are organized by key on the program, and all are written for a “mixed consort”of harp, viol, theorbed lute, and violin; the disc also includes a duet for harp and guitar. All are played beautifully. Penderecki’s first two string quartets are both “important” and impressive, both as catalogues of extended string technique (circa the 1960s) and as examples of the “sonorist” school of composition. His third, written in 2008, is something else entirely: more than twice as long as either of its predecessors, it also draws on the language of Romanticism as much as on mid-century modernism. And then there’s the Lutoslawski quartet. It dates from the mid-1960s as well, but to my ear it displays all of the agita of the Penderecki pieces without the sense of underlying rigor. Your mileage may vary, of course, and the Royals play beautifully. 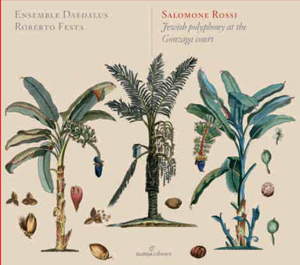 The Glossa label continues its excellent reissue series with the very welcome return to market of this wonderful recording of vocal and instrumental works by the Jewish composer Salomone Rossi, a figure who stood simultaneously at two important intersections: those of Jewish and Christian culture and the Renaissance and baroque styles. On this disc, recordings of his polyphonic Italian madrigals, liturgical Hebrew chants, and instrumental sinfonias and dance pieces are interspersed with complementary works by John Wilbye and Maurizio Cazzati. The recorded sound and the performances are splendid, and this album is a must-have for any early music collection. The 1613 marriage of Count Palatine Friedrich V and the English princess Elizabeth Stuart was apparently rather anomalous in that it was something of a love match (though the romantic aspect was, predictably, puffed up considerably in subsequent celebratory literature). 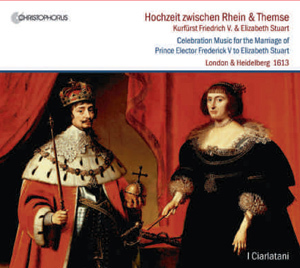 Though the nuptials were postponed when young Prince Henry fell ill and died partway through the festivities (a song of mourning for Henry is included on this program), once it took place it left behind some lovely music written for the occasion by German and English composers both renowned (Robert Johnson, John Dowland) and less so (Christian Engelman, John Coperario). The music is beautifully recorded and performed here, and this disc (originally issued in 1998) is strongly recommended to specialist collections. 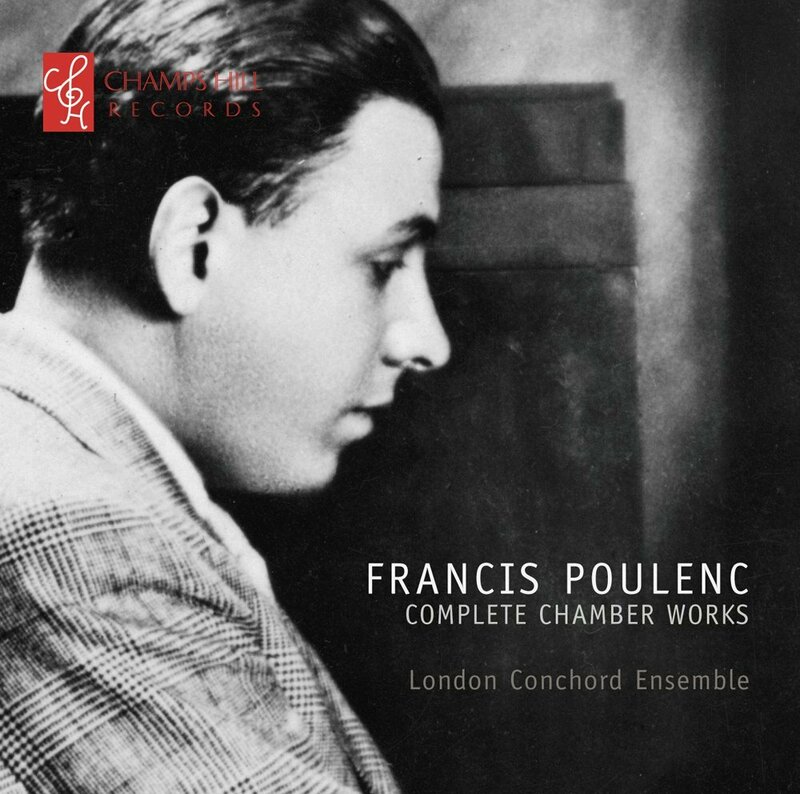 Consisting of recordings made between 2002 and 2011 and originally issued as a compilation in 2011, this two-disc set does a wonderful job of communicating Poulenc’s unique musical voice. He wrote with a spirit of humor but without irony, and his pieces often carried with them a sense of sweet-natured mischief. There are numerous sonatas for solo instrument with piano, as well as a splendid sextet for winds and piano, several duets for wind and brass instruments, and even a solo piece for guitar. At a few points I would have preferred a more intimate recorded sound, but the playing is wonderful. Regular readers of CDHL will know by now that my tastes in jazz do not tend to run to the impressionistic, the abstract, and the self-expressive. They lean much more in the direction of the tight, the structured, and the swinging. 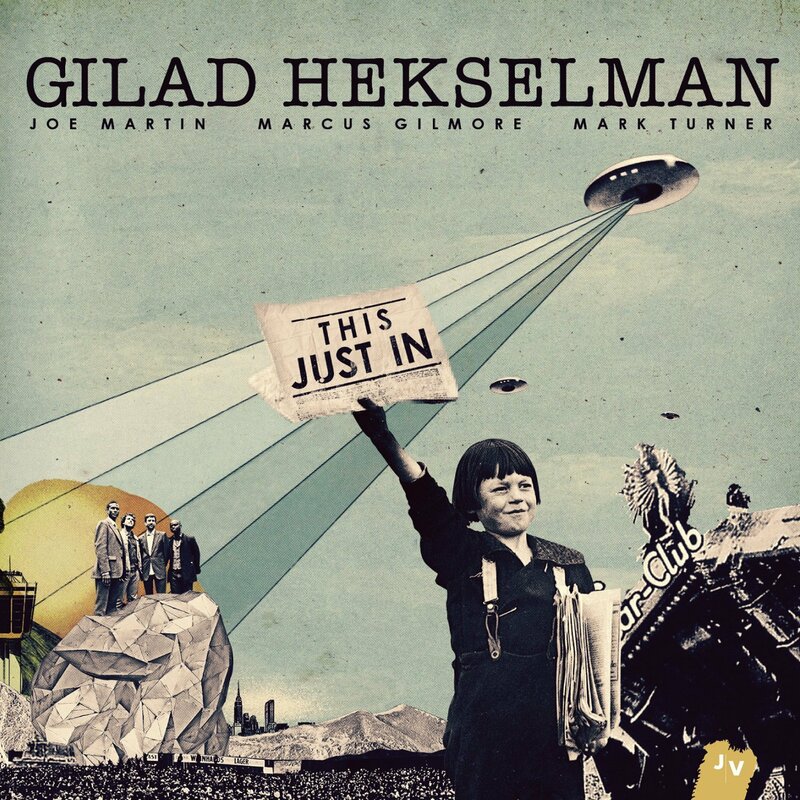 But guitarist Gilad Hekselman’s latest album—a trio date that adds tenor saxophone on several tracks—works just fine as far as I’m concerned. It’s exploratory and discursive, filled with burbling melodic lines and with drum parts that feel more like punctuation and commentary than groove. But somehow it al hangs together very nicely and never feels self-indulgent. Recommended. 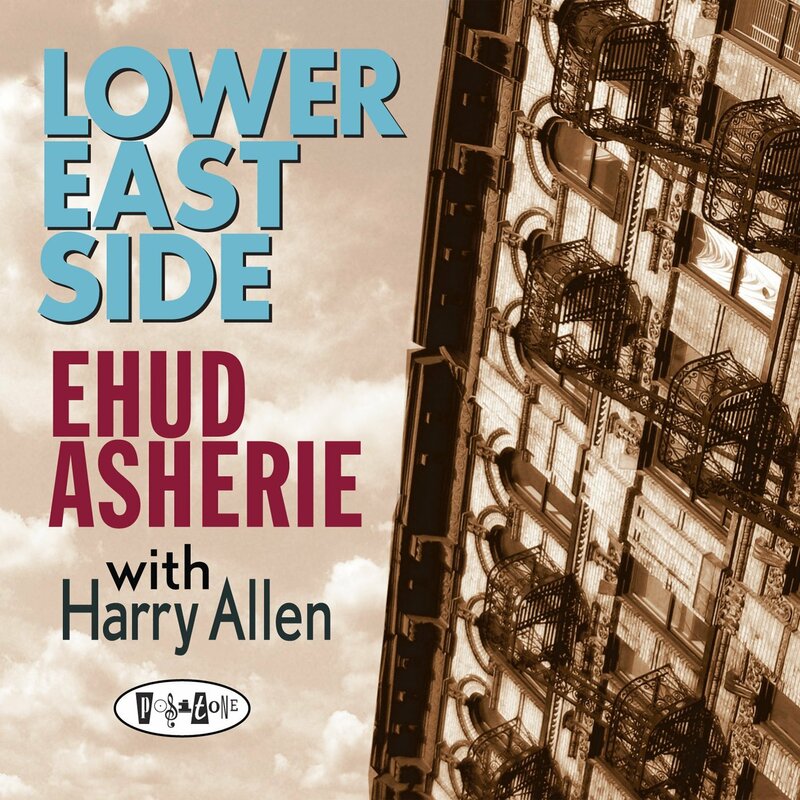 Joined by tenor saxophonist Harry Allen (who is himself one of the top players of straight-ahead jazz and swing currently working), pianist Ehud Asherie romps his way through a wonderful set of American Songbook standards, referring back to stride, bop, and swing traditions and making you hear familiar fare like “S’posin’,” “When I Grow Too Old to Dream,” and “Thou Swell” with new ears. Allen’s and Asherie’s back-and-forth is playful but respectful and both of them brim with fresh new ideas at all times. 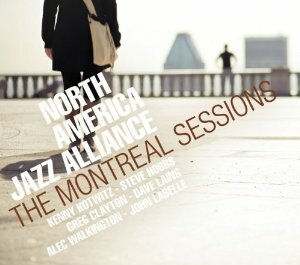 Recommended to all jazz collections. String quartet arrangements of jazz standards are nothing new—and sometimes they’re not even anything special. This album is, though. The first four tracks consist of selections from Porgy & Bess arranged for string quartet plus clarinet, and they’re excellent. But even better are Jerome Kern’s own arrangements (scored for string quartet by his assistant Charles Miller) of six of his most popular songs, including a devastatingly lovely setting of “The Way You Look Tonight.” The program ends with Gershwin’s “Lullaby for String Quartet.” Everything is played beautifully, with a very nice balance between romantic yearning and jazzy swing. Highly recommended. This is a smooth and enjoyable standards album by an unusual combo led by vibes, accordion, and guitar. 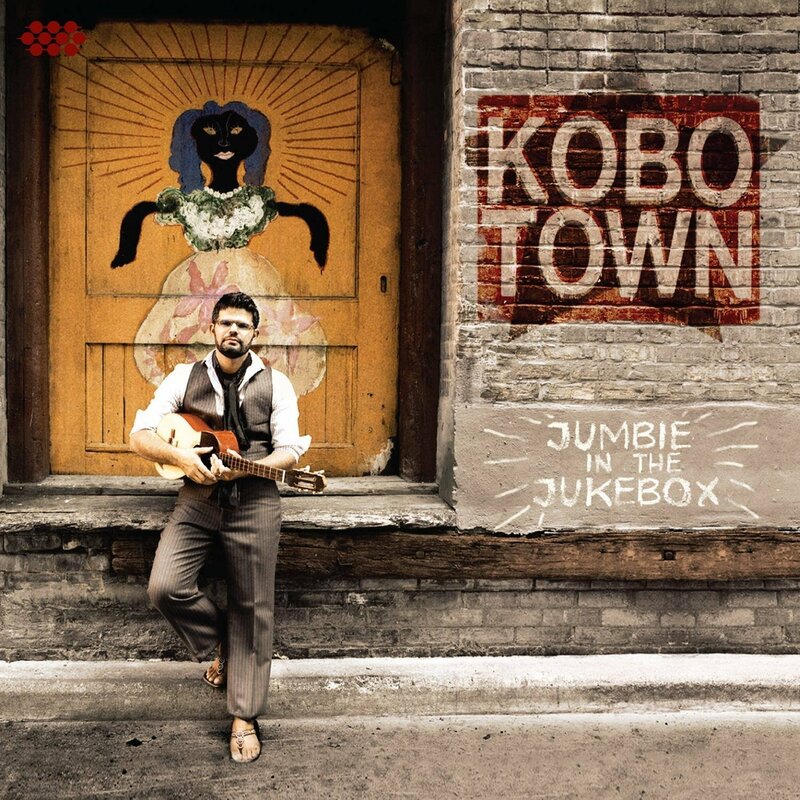 John Labelle provides soft (and, to my ear, rather derivative) vocals on several tracks, but what makes the album uniquely compelling is the interplay between Kenny Kotwitz’s accordion and Steve Hobbs’ vibes; on tracks like “Just One of Those Things” and the gently but powerfully swinging “Delilah” they bounce off each other with a sweet and understated virtuosity. The whole album is tons of fun. 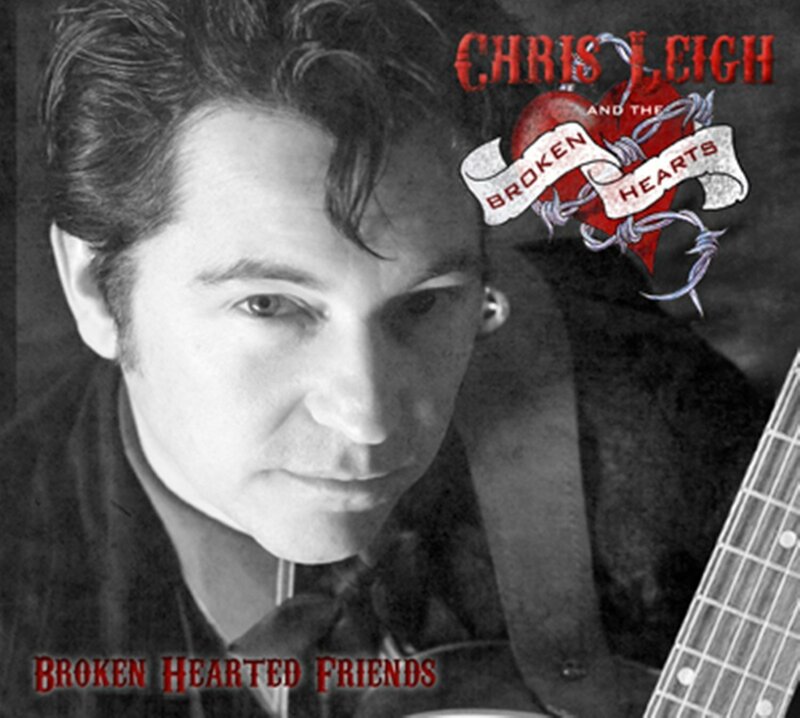 If you’re wondering what’s up with independent country music in 2013, then give Chris Leigh’s debut album a listen. Its ten original songs are informed by the usual influences (romantic disaster, drinking, the importance of Willie Nelson, etc. ), but they ramble across multiple country-music subgenres: George Jones-style barroom honky-tonk, Western swing, rockabilly. Leigh’s voice is rich and chesty, and his songs are full of great hooks and charming little references (the ghost of the Jordanaires hovers over several tunes). Very nice. This pair of albums shines a fascinating light on two of the greatest geniuses in country music history. 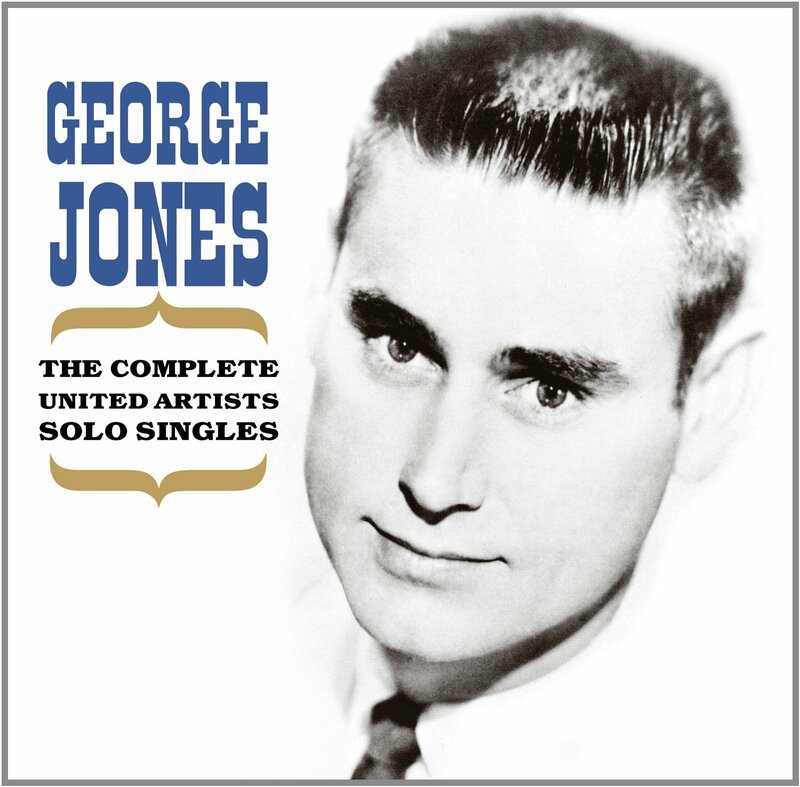 At his peak, George Jones was one of the most gifted singers in the history of American popular music, and despite the occasional embarrassing novelty tune and the odd clunker, this 32-track selection of his singles is chock-full of hair-raising examples of his genius: “She Thinks I Still Care,” “Sometimes You Just Can’t Win,” the gospel weeper “He Made Me Free,” etc. 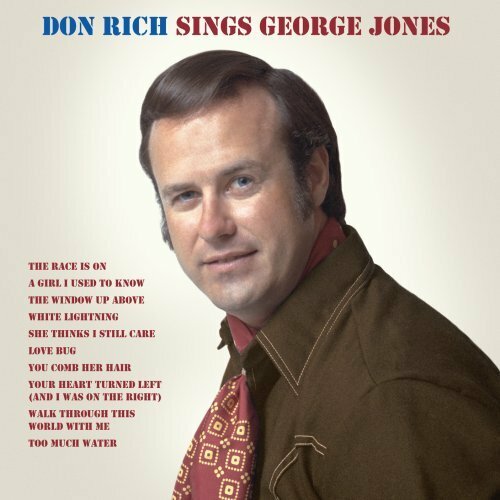 There are lots of George Jones greatest-hits collections out there, but this is one is unusually fine and would make an excellent introduction for any library collection. Don Rich was a different kind of genius: as guitarist and backup singer for Buck Owens, he quietly and self-effacing helped to shape what would become the Bakersfield Sound, and he had an uncanny ability to shape his voice to fit Owens’, resulting in some truly brilliant recordings during the 1960s. This recently-discovered solo album, which languished in the vaults for decades for reasons no one seems to know, shows him to be a less brilliant lead vocalist than backup singer, but is still plenty good—and it’s very interesting to compare his vocal approach on these tunes to that of Jones himself. As a piece of country-music history, the album is priceless. 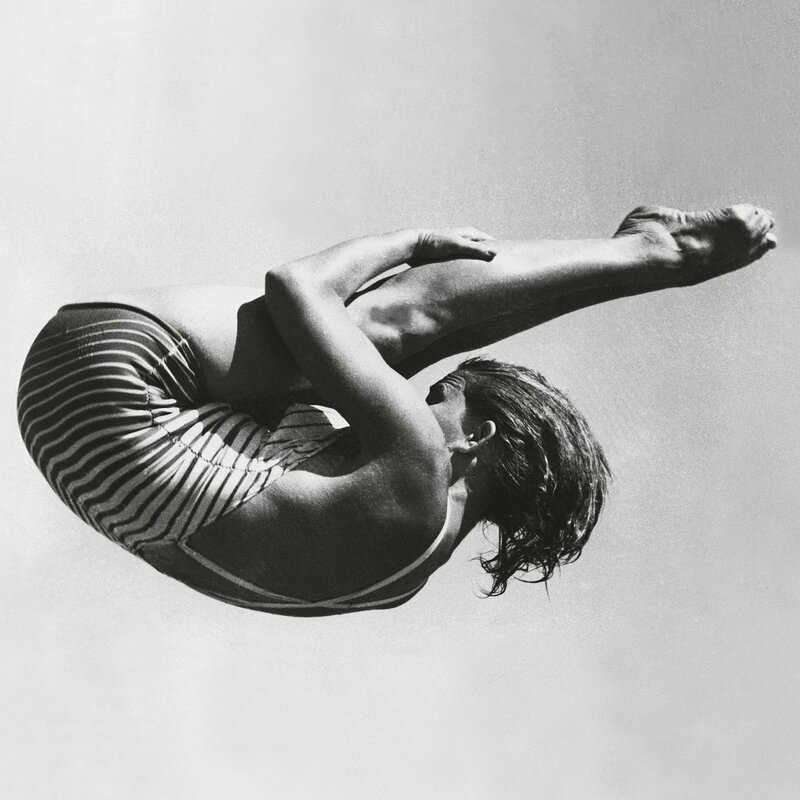 Producer Andy Stott made a major splash with this album late last year, so you may already have patrons requesting it. Several of its dreamy, mysterious tracks feature sampled vocals from Alison Skidmore, Stott’s former piano teacher. All of them are beautiful in a funky way and funky in a sort of abstract way, and at times they’re unsettling and at other times weirdly uplifting. It’s quite rare to encounter an album of electronic music with this kind of emotional and—dare one say—intellectual depth. Highly recommended to all pop music collections. This trio has been active in New York for some years now, touring heavily and producing singles, remixes, and videos (plus one EP) since 2006. Their debut full-length album was produced by John Fryer (of Cocteau Twins and This Mortal Coil fame), and the sound is exactly what you’d expect: dreamy, lush, deeply pretty but also fairly weird, with vocals that are generally submerged in the mix—imagine Bryan Ferry backed by Robin Guthrie. 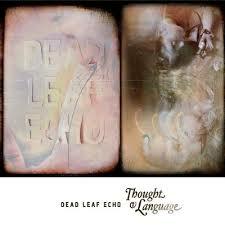 It’s really quite wonderful, and anyone who loved the great shoegaze bands of the 1980s will enjoy this one a lot. 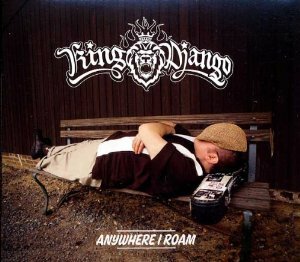 I usually put reggae and reggae-related releases in the World/Ethnic section, but the latest from King Django (the man who pretty much serves as the center of gravity for New York City’s surviving ska scene) is all over the place stylistically while remaining consistently informed by the unique flavors of the NYC scene: on this excellent disc you’ll hear ska, rock steady, and vintage-style reggae in both roots and dancehall styles, along with a slightly hilarious Police cover and instrumental contributions from the likes of Regatta 69, the Scrucialists, and even the mighty Soul Syndicate. Django’s sense of humor and skanking energy are a source of delight throughout. Highly recommended. 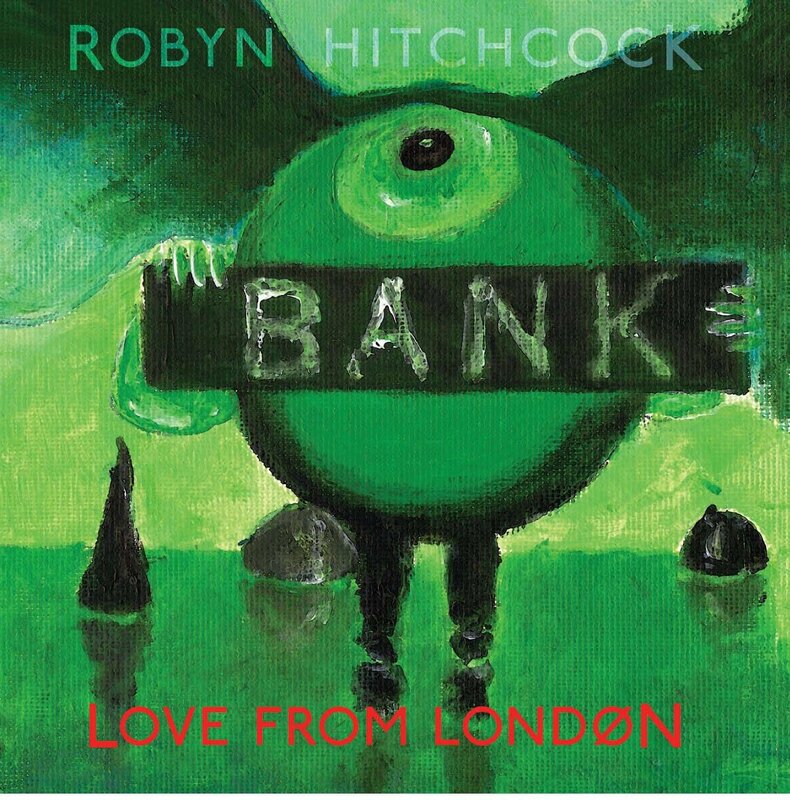 Just in time for his 60th birthday (“Rock and roll is an old man’s game now, so I’m staying in it,” he says) comes the latest album from Robyn Hitchcock, doyenne of weirdo post-pop. As usual, the hooks are iffy and the lyrics are off-center at best—but also as usual, there’s something captivating about his particular weirdness, and something grabby about these songs. And his voice sounds exactly the same as it did when he was singing for the Soft Boys in the 1970s. Expect demand. The artist who calls himself Dao De Noize got his start in 2011, experimenting with guitar noise and droney ambient music. 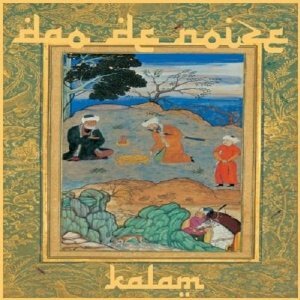 With Kalam, he starts moving in another direction, taking panethnic percussion sounds, samples of the Muslim call to prayer, and other elements, and layering them into hypnotic, highly repetitive sound sculptures that evoke the work of Muslimgauze. It may take a couple of listens for the music to work itself into a happy place in your brain, but give it a shot—it’s worth the effort. If you like your techno dark, grumpy, and instrumental (as I confess I do), then check out this weird but very cool collection of four tracks by Modeselektor and Moderat. 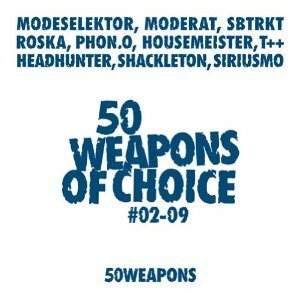 Modeselektor’s “Untitled” and “Art & Cash” are given two and three remixes respectively by the likes of Roska and Phon.o, while Moderat’s “A New Error” and “Rusty Nails” get remixed by Shackleton, Headhunter, and T++. This compilation was originally released in a very limited and numbered edition, in case that matters to you, but what really count are the deep, grumbling grooves. The sun comes out briefly near the end for the relatively lighthearted SBTRKT remix of “Art & Cash” and Housemeister’s take on “Untitled,” but otherwise this is pretty straight-faced stuff. Have you ever wondered what calypso music would sound like today if it had survived, more or less stylistically intact, from its glory days in the 1940s and ’50s? Here’s your answer: the lilting melodies and clever wordplay would be much the same, as would the primarily acoustic instrumentation, but the mix would include hints of hip hop and dubwise reggae and maybe even the faintest suggestion of electropop. Trinidad native Drew Gonsalvez moved to Toronto as a young teenager, but his calypso roots are deep and he writes sharp-eyed, hook-filled songs about all kinds of timely topics, just like his forebears did. Brilliant. There’s danger in putting a traditional Irish band in front of an orchestra: the danger is that the orchestra’s size and relative lack of nimbleness will undermine the lightness and agility that are so essential to making this music in a compelling way. 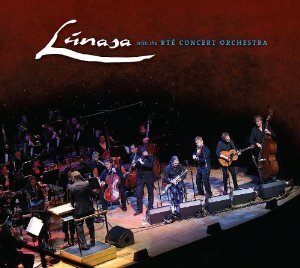 Lúnasa and the RTÉ Concert Orchestra get around this danger mostly by keeping the orchestra out of the way and using it to paint chordal backgrounds, giving the music added depth and color without weighing it down. This approach is especially effective on the slow airs; on the uptempo numbers the orchestra feels, frankly, more or less vestigial—but it never gets in the way, and fans of this excellent Celtic group will find much to enjoy here. 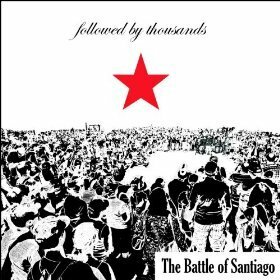 Though their sound is heavily influenced by Latin American music styles, The Battle of Santiago is actually a Toronto-based band, three-fifths of whom are Anglo. Not that the bandmembers’ ethnicity matters, but it’s kind of an interesting factoid when you take into consideration how broad the sonic palette is here: elements of dub, reggae, son, salsa, ambient, techno—it’s almost as if African Head Charge had made an album in Cuba. But not really. Explaining is kind of pointless, so just listen. Do you remember that Zimbabwe is where I served in Peace Corps? I’ll be sure to check out The Village. Thanks for the tip! Yes indeed! I think you’ll love it.